Anjolee is one of the largest diamond jewelry manufacturer in the United States - All items on the website are manufactured by Anjolee, which gives us the ability to custom tailor your selection to your exact specifications within a short time frame. 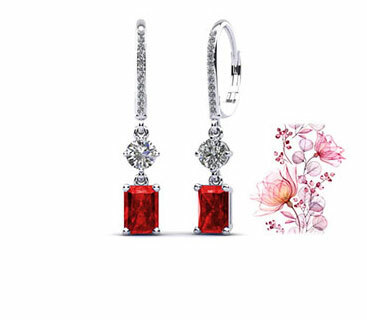 We produce only high end genuine diamond and gemstone jewelry and have a large selection of diamond bracelets, earrings, necklaces, rings, and bridal jewelry. Best Prices - Our customers have the opportunity to buy directly from Anjolee with prices below retail. We work on low margins in order to give you the best value, while maintaining the highest quality standards in the jewelry industry. Innovative Jewelry Customization Process - Anjolee is the only jewelry website with a unique customization system which gives you the ability to custom-build all of our jewelry designs based on taste and budget. We offer 5 types of precious metals, and most of our items come in several carat weights, diamond qualities and sizes. Highest Quality Jewelry Products -Buying from Anjolee ensures you get the best value possible. We employ the highest quality of manufacturing standards in the industry at manufacturer direct pricing. Many of our products are exclusive designs that can only be found at Anjolee. High Resolution Images and 360 Rotation View - Anjolee offers high resolution pictures and 360 degree views of all jewelry items on the website. 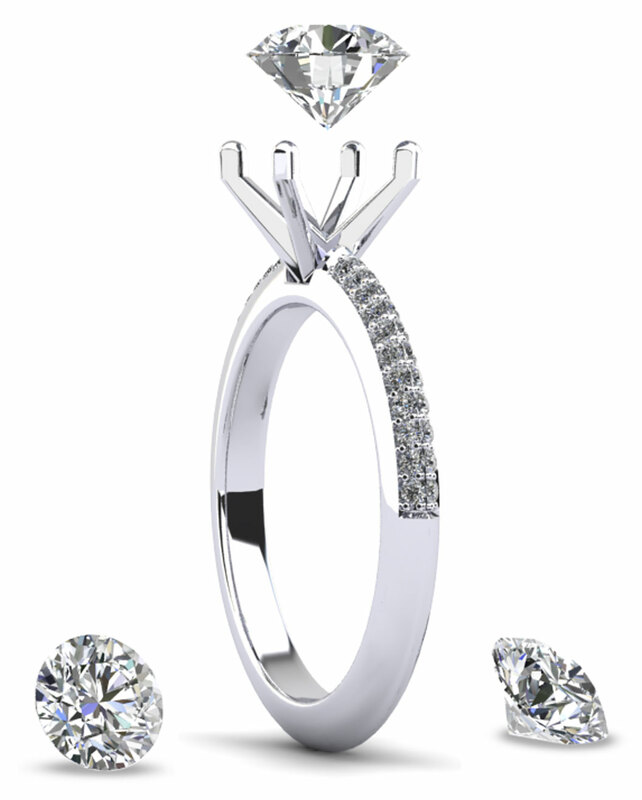 View each item in white or yellow gold and click the 360 rotation button to see the item in extreme detail. What reassurances do I have buying from Anjolee? Anjolee has been the leader in jewelry manufacturing for over 35 years, and our attention to detail, and craftsmanship is of the highest quality. Because all of our jewelry items are customizable by metal type, diamond quality and size or length, we are able to deliver an amazing product- just the way you need it. Anjolee has an A+ rating from the Better Business Bureau, and excellent ratings from BizRate and Bazaar Voice. Our reviews are from real customers that have placed orders with us. Anjolee offers a 30 day, full refund policy. if you are unsatisfied with your order for any reason. The timeframe of 30 days begins when you receive your purchase from Anjolee. For full instructions on how to return an item to Anjolee, please click here. Does Anjolee offer free shipping? Anjolee does not ship to P.O. Box addresses. For more information regarding out shipping policy please click here. Will I be charged for sales tax on my order? Sales tax is only collected on orders delivered to addresses within the state of California. If your package is shipped to another state, no sales tax will apply to your order. The production time for all jewelry items on our site averages 4 business days. When your order is ready to ship, you will be emailed a tracking number for your order. We ship all items for next day delivery with either UPS or FedEx courier service. What is your policy on credits and adjustments? If for any reason you are unsatisfied with your order, you have 30 days from the day you receive your order, to return an item for a full refund. If you need to make adjustments to the length or size of your item, please contact Anjolee and we will send you instructions to return the item for sizing. For more details on our Return Policy, please click here. Credit Cards: Anjolee accepts Visa, MasterCard, American Express, and Discover cards. PayPal: After adding the product to the shopping cart, you may complete the purchase using your PayPal account. Bank Wire: Anjolee accepts bank wire transfers. Get an additional 1.5% off your order using this payment method. Please see the customer service page for more details on payment options. My credit card was declined, why does this happen? There are a few reasons why your card may have been declined. Double check the billing details to make sure you entered your name/address/phone information exactly as it is found on your credit card account. If this is all correct, the bank may need your authorization prior to the transaction going through. In some cases, you may need to call the customer service number on the back of your credit card to speak with them directly. If you have any questions about a credit card being declined, please feel free to call Anjolee at (877) 265-6533. Do you offer a layaway Option? Anjolee does not offer any payment plans or layaway options. All orders must be paid in full at the time of purchase. What is the reason for price variances on Anjolee? Prices may change at any time on Anjolee and without prior notice. Prices are generally adjusted based on the fluctuation of diamond and metal market prices. Does my jewelry come with a certificate or appraisal? How do I request a third party certificate and/or appraisal? You may purchase an IGI appraisal certificate at the time of your purchase. Once purchased, we send your item to the IGI for inspection and certification. The IGI is an independent 3rd party and can take up to 10 business days to complete the certification. How do I insure my jewelry item? There are a few ways to insure your jewelry items. Insurance can be purchased as an extension (also called a "rider") on your renters' or homeowners' policy. Renters' and homeowners' policies cover the items in your home, but only up to a certain dollar value: Expensive items such as engagement rings, art, and electronics are covered through scheduled personal property coverage. Another option is to insure your item through a company that specializes in jewelry insurance such as Jewelers Mutual, which may offer more coverage than a standard homeowners' policy (replacing a lost or stolen ring rather than paying a set amount of cash, for example). What jewelry design/style should I choose? Anjolee offers hundreds of different jewelry designs and choosing one can sometimes be difficult. To narrow your choices down, it can be helpful to browse by product category. 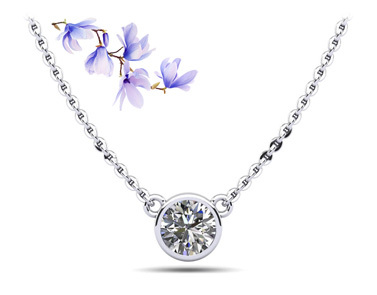 Anjolee offers the following product categories with a wide selection of items within each section: diamond bracelets, diamond rings, diamond earrings, and necklaces and pendants. An Anjolee service representative welcomes the opportunity to assist with your purchase, so please don’t hesitate to contact Anjolee with any questions. Is Anjolee jewelry plated with gold? Anjolee does not plate any of our jewelry items. When you buy from us, you are buying solid gold jewelry. In addition, we publish the approximate gold or platinum weight for every item sold on the website. Please review the 'Approx Metal Weight' which is located under the Selected Item Configuration on the bottom of each product page. Note: you will need to fully customize the item in order for our system to calculate the approximate metal weight.The weight listed is in grams. What is the "Starting from Price" on Anjolee and how do I see an item at that price? Step 1: Metal Type - Select 14k yellow gold. Step 2: Total Carat Weight - Select the first option on the menu. Step 3: Diamond Quality - Choose HI-I1 diamond color/clarity combination. Which metal type should I choose? Anjolee offers 14 kt and 18 kt gold choices as well as platinum. When choosing a metal type, there are a few key points to remember. What if I need my item resized or the length modified after purchase? At Anjolee, we are happy to make adjustments to your order if sizing or length changes are needed. In the case that you wish to add or remove links, we will apply the necessary charge/credit to your original form of payment. Please contact us via chat, phone, or email ( service@anjolee.com ) and we can arrange the adjustment for you. What is the difference between model carat weight and effective carat weight? If the product from the categories listed is ordered in a different length or size, the number of diamonds that is actually set in the piece of jewelry may change. 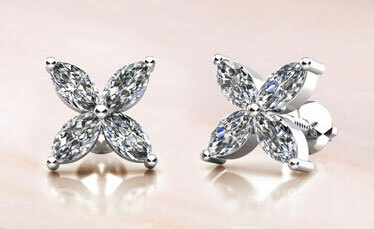 Therefore, the total diamond carat weight changes. The effective carat weight is the total weight of the diamonds that is set in the jewelry item after the adjustment of the length (bracelets and diamond necklaces) or size (diamond eternity rings).